Home Parenting	Failure: A Four Letter Word? I gained thirty minutes to my morning this year. My daughter and son are both on the same campus, and she now drives him to school. For the first time in 13 years no one needs me to take them to school. I can kiss them good bye and plop right down on the couch to watch the Today show. In my PJs. With hot coffee. The house is perfectly quiet and my day feels just a bit more civilized. That is until I hear the ding of my phone from the kitchen. It is 8:07 am – didn’t they just leave? I want to think that the curt response somehow resonates with them…I suspect it doesn’t when I hear another ding. At least there is a thank you….can I pat myself on the back for that? When I taught middle school I would preach the mantra of “please don’t save them from _________ (a forgotten HW assignment, cleats for practice, lunch money)” to parents. I fully believed in letting kids figure things out themselves and face the consequences – especially the relatively small ones. I still do. But – wow- it is hard when the kiddoes are your own. I am embarrassed to admit the number of trips I made down to the MS to drop off a lunch card or PE uniform over the years. And guess what? One day into the 2016-2017 school year and I have already schlepped a summer reading book, among other things, over to the Upper School. Phooey. This month’s book is The Gift of Failure by Jessica Lahey. I have read a few pages (I will complete my assignment….later today) and already I’ve made a remarkable discovery. I am absolutely in LOVE with the sheer brilliance of the 17th Century philosophers. Seriously. Guys like John Locke and Thomas Paine have totally nailed the whole “parenting with reason not emotion” angle. I know these guys from my college philosophy classes, but we clearly didn’t focus on their parenting expertise. As Lahey points out, if our darling child of today bit the neighbor lady we would give a long-winded, logical explanation for why they should not do that – followed by a supplicatory piece of candy. Not Locke. No sir. 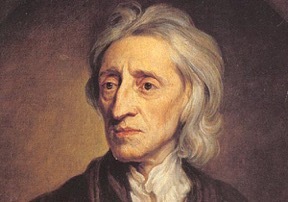 He said “(l)ong discourses and philosophical reasonings at best amaze and confound, but do not instruct children.” In other words – you suffer the consequences for your actions. No emotion. And the tantrum – at 3 in the grocery store or 13 in the living room….that sh*t did not fly. Boom. 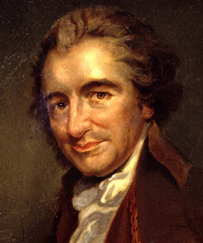 Paine was simply not having drama. Granted, back during the American Revolution there were greater things to worry about – smallpox epidemics and hunger. You know, the biggies. Maybe we all have gone a bit soft… but I think there is a nugget of wisdom in there from these guys. “Parenting for tomorrow, not just for today.” That’s how Lahey ends the first chapter. I’m in. For more info about the Garrett Rohr Educational Consulting monthly book clubs,“like” us on Facebook & join the fun. Visit the Discovery Place Museums During Holiday Break! Ok I have a suggestion for next month’s read!